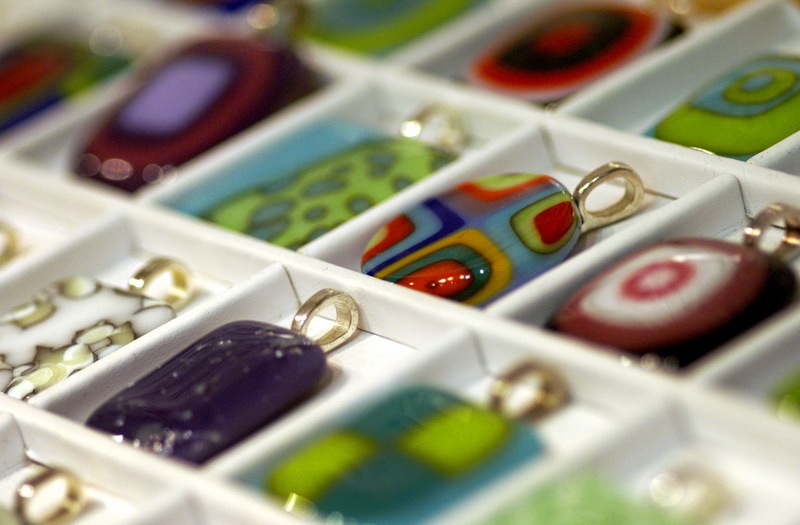 Bold & Beautiful Glass Jewelry. One of Kind, Made One at a Time. Full Spectrum of Patterns & Hues Melded with Heat & Creativity. It’s fair to say that when jewelry artist Lindsay Field first experienced melting glass, her heart melted too. Like many talented crafters, she’s tried her hand at several different specialities, but it wasn’t until she started working with glass that everything melded into place. 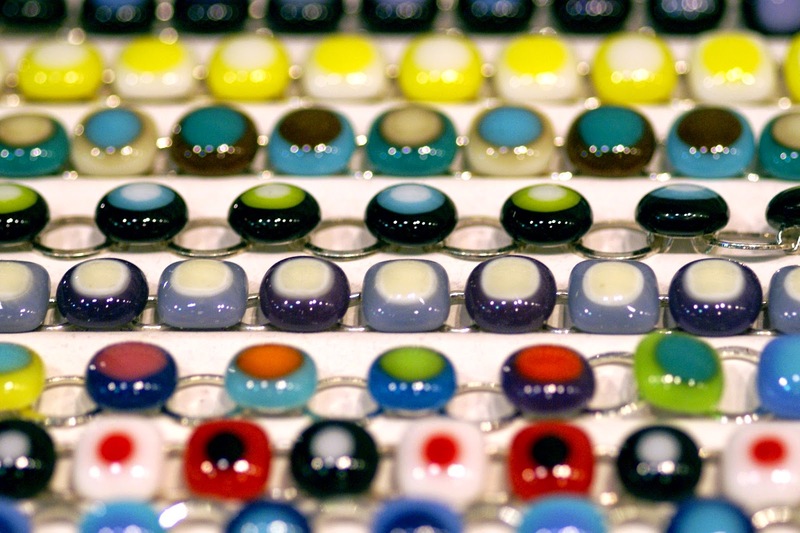 It was as if her passion for color and pattern were magically fused with the techniques that are used to turn glass into three dimensional works of art, from glass blowing to lampwork to fusing. The unifier across all of these methods is fire, which is used to melt the glass, allowing you to mix shades and shape forms. 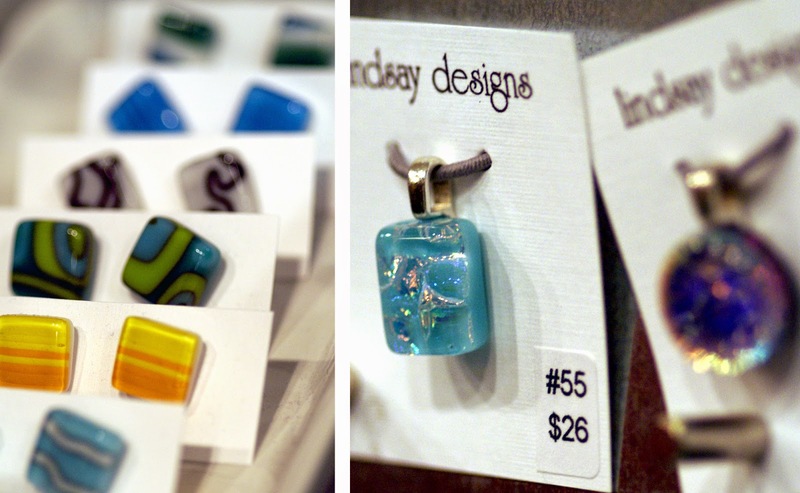 Lindsay spends a lot of her time these days working on wearable glass art, which is fun in that it is beautiful and functional. Her jewelry selection includes earrings, pendants, beads, bracelets and more. You can tell it’s her work by the patterns and bright pops of color she works into each piece. She enjoys looking to both retro and modern designs for inspiration, making her art bold with vibrant hues and geometric forms. 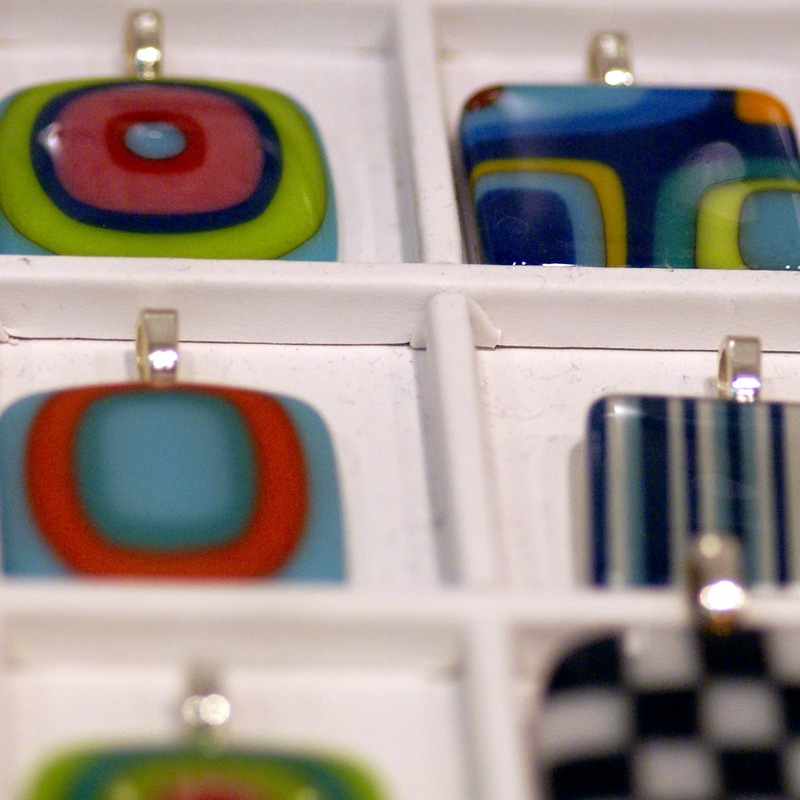 Glass work can be a time intensive process, especially when fusing. You plan, prepare, fire, wait, refine, refire and sometimes many steps more. It's an art and a science in a way that welcomes creativity. It’s clear that Lindsay puts a lot of time and care into her art!